It's hard to believe that Easter Sunday is less than a week away! I have been wanting to share this special egg hunt birthday party for a while now and even though it was a birthday party, there are lots of great inspiration for an Easter party or any spring celebration. 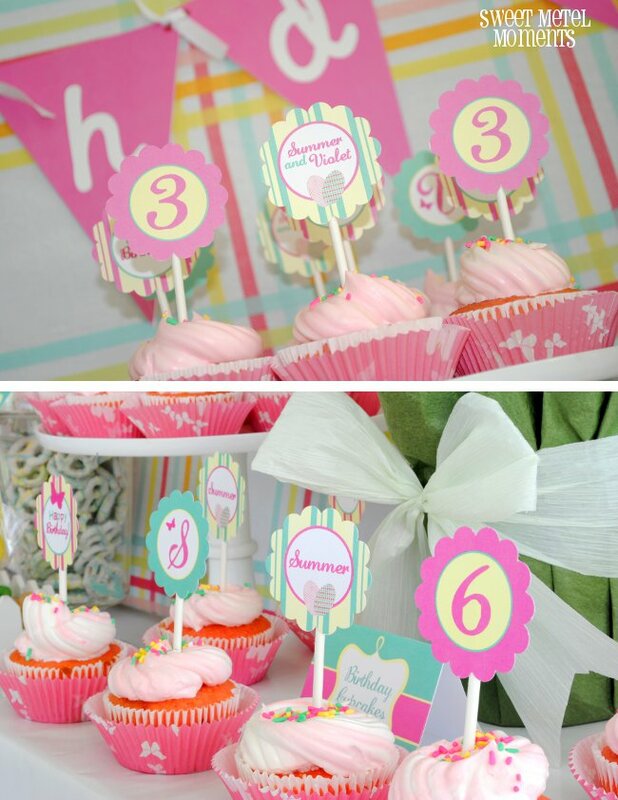 I styled this dessert table for two very special little girls, my precious nieces Summer and Violet! Since their birthdays are right around the Easter holiday, my sister-in-law Michelle (the girls' mommy) wanted to throw a fun and festive Easter egg hunt as one of the party activities. It was a big hit! I had a lot of fun creating this dessert table. I did it on a budget, using a lot of store-bought treats. As always, I start preparing for a party with my custom printables. Since the girls love butterflies, I wanted to incorporate images of butterflies along with Easter eggs. I also used fun spring pastel colors. And Michelle wanted a banner that she could use year after year. Treats included homemade cupcakes topped with customized cupcake toppers, and store-bought sugar cookies and Easter-themed Little Debbie snack cakes, along with apothecary jars filled with white-chocolate covered pretzels and pastel bunny marshmallows. I also made some Oreo Pops and bought cute bunny lollipops from Dollar Tree and displayed them using this treat display tutorial. We had a great time celebrating two very special girls! The whole Egg Hunt Birthday Party Collection is now available in my ETSY SHOP. The colors and details are absolutely delicious! 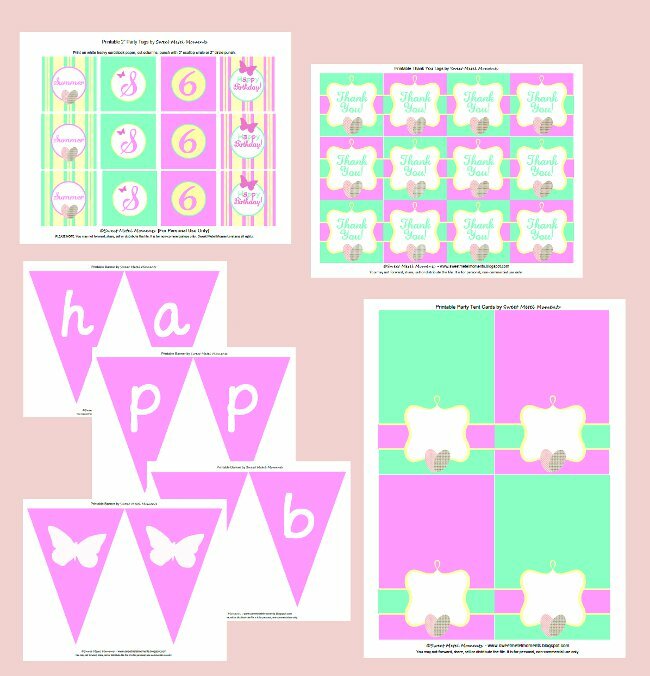 Great job and such cute printables! Aw, how cute!! this would make a fun easter party. WOW!! I love your party!!!! feel free to share on my linky tomorrow :):) GOOD JOB! !